Neena Gupta has set an example for all of us who think asking for jobs means compromising on self-esteem. The veteran actress took to Instagram to share a beautiful portrait of hers. It was the picture’s caption that caught our attention. She captioned the image as, “I live in Mumbai and working am a good actor looking for good parts to play” (sic). Neena Gupta’s way of asking for a job sidelined the actor’s pride, which many in the industry may not relate to. This post by Neena inspired Priyanka Chopra as well. Neena Gupta is an award winning actor and the fact that she went ahead and asked for work is something we all should take note of. Neena’s post reveals she doesn’t want to sit idle and intends to keep on working till she can. Neena’s daughter and renowned designer Masaba Gupta shared the photo on Instagram and expressed that she was proud of her mother and also revealed the life lessons she had learned from her. 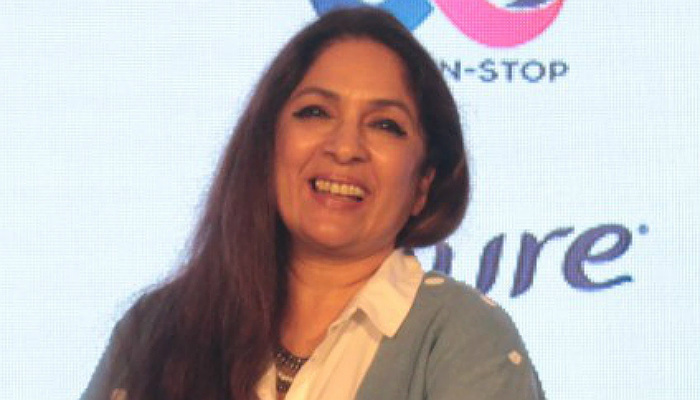 Well, Neena Gupta has all our respect for being this humble and not shying away from working. You have inspired us, Ma’am!